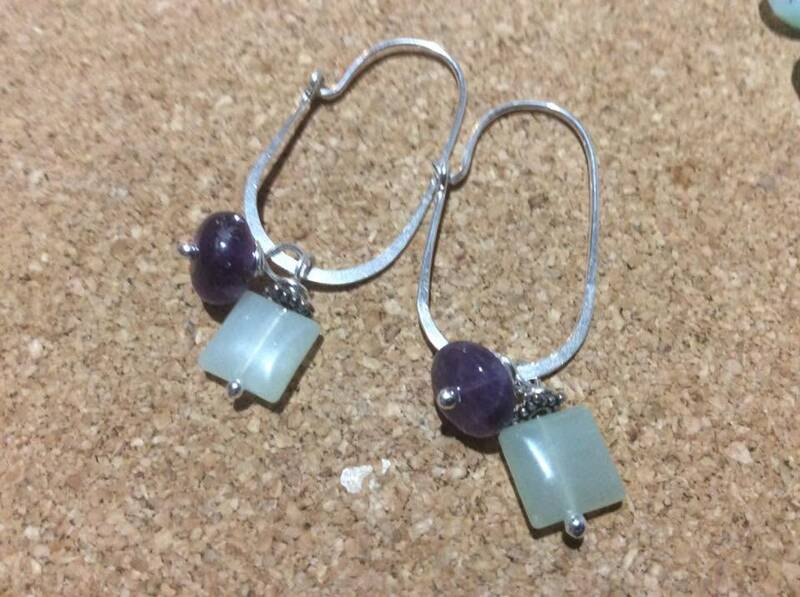 silver oval hoops with a real small square of jade in light green and a smooth amethyst rondelle drop. 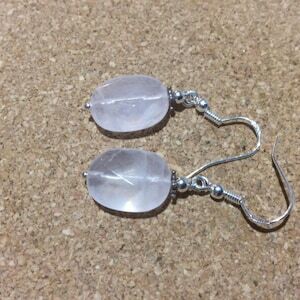 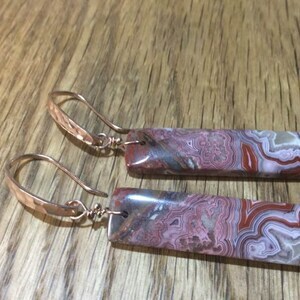 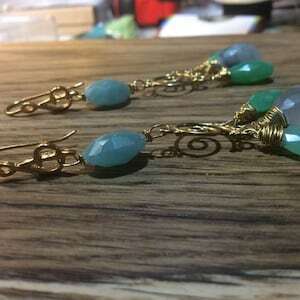 these can be made with any gemstone and in rose gold vermeil or yellow gold vermeil. 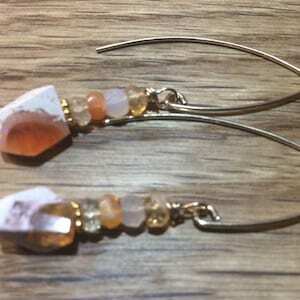 please send me a message saying which ones you would like unless you are happy with this combination of gemstones.